I firmly believe that she who dies with the most fabric wins. I think I am well on my way to winning! 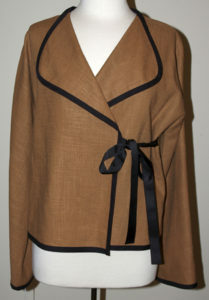 I love to sew beautiful fabrics into women’s jackets, vests and tops from x-small to plus sizes. Please stop by my booth when you come to our show.